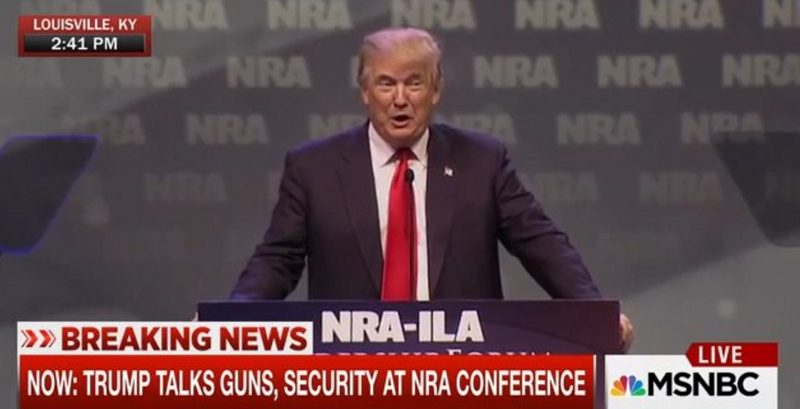 Donald Trump spoke on his gun rights agenda at the NRA-ILA Leadership Forum in Louisville, Ky. Friday evening. He went on to criticize Clinton as "the most anti-gun, anti-Second Amendment" presidential candidate in U.S. history. "The Second Amendment is under a threat like never before," said Trump. "Crooked Hillary Clinton is the most anti-gun, anti-Second Amendment candidate ever to run for office. And as I said before, she wants to abolish the Second Amendment. She wants to take your guns away." During his speech, Trump said that he plans to get rid of “gun-free zones” among other gun control measures.